I am trying to learn Tikz and I want to know if there is a way to optimize this 2 graphs. Thanks. I know it is large but I am trying to know how to write in this language. Also if you know a concise page or book to learn how to use Tikz, it would help me a lot. Thanks. The first figure can be drawn with two nested \foreach loops, in which the repeating directives are stored in styles. The second figure uses a pic with named subnodes that get rotated. I created nodes and not points as in your code because it allows you to draw arrows that go from edge to edge without crossing the nodes. Not having understood the logic of the textual numbering of the nodes in the second figure, it is possible to simplify the code of the creation of the nodes, but not that of their text. Unless you explain this numbering logic. 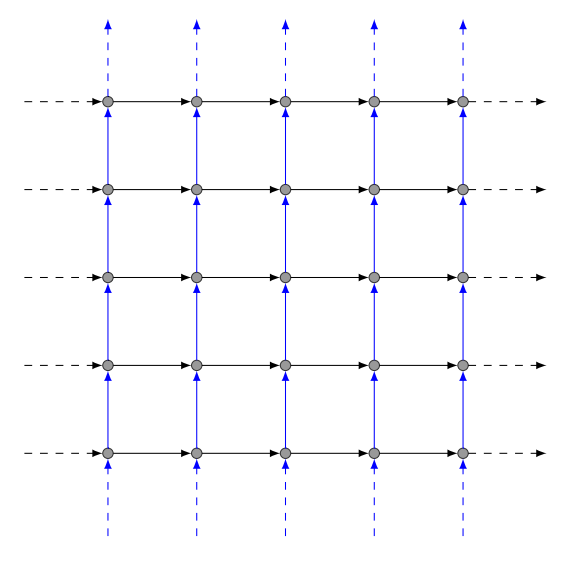 % Inside arrows between the nodes. Not the answer you're looking for? 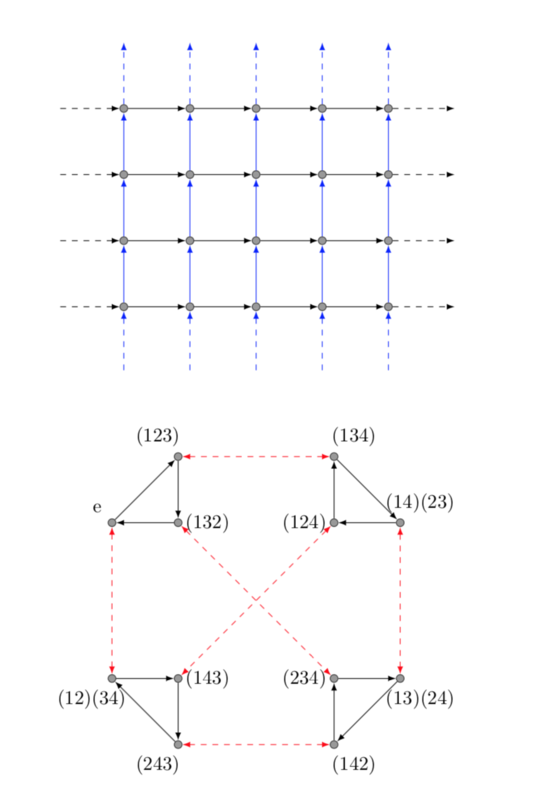 Browse other questions tagged tikz-graphs tikz-graphdrawing or ask your own question.